We make profiting from renting your home for THE PLAYERS Championship a hassle-free experience! With the move to March in 2019, we expect private homes to be in great demand. So there has never been a better time to list your home with Suncastle Properties. As a homeowner when you list your home with Suncastle Properties, you will have the peace-of-mind in knowing that your home will be kept safe and secure by a local professional property management agency right here in Ponte Vedra Beach. As a trusted partner and our team of experienced professionals work with more players, caddies, corporations and tournament sponsors year after year than any other agency. The Key to a successful rental experience is in the Details. From guest screening, reservations, inspections, check-in, check-out to housekeeping, Suncastle Properties takes care of guests and your property 24-hours a day throughout tournament week. Interested in learning more about listing your home for The Players Championship, please click here and one of our rental professionals will contact you to discuss your property, pricing and how Suncastle Properties will market and service your property. Ready to rent your home for The Players Championship, click here to request an application to complete and return to our office. Remember, we don't know if your home will be available unless you update your information with us each year. What is the process to get my home listed with your company? Request and complete a rental application providing detailed information about your home. We will also need digital photos of your home. Remember, these photos will show our clients the décor and layout of your home, so make sure they are bright, crisp and clear. Once we have the details of your home and your pictures, your home will show on our website for clients to preview. What type of photos are needed? Please make sure you include the front of your home, this is the first photo the client will see. These photos are how the potential clients will see your home’s décor and layout so please make sure these pictures showcase your home to the best of their ability. Please use our guide to help you take the pictures most clients are interested in seeing. We like 15 – 20 photos to showcase your home, so if you do not have a game room, exercise room, etc., fill the space with another appropriate picture. We HIGHLY recommend if you have children’s rooms, to make them as adult as possible. Please remove any posters, stuffed animals, and children’s bedding, etc. before taking photos. How should I determine what my house should rent for during the week of THE PLAYERS? You can expect to receive between $800.00 and $1,500.00 per bedroom and bath. Of course, each home is unique, and the price is ultimately determined by what you have to offer (pool, game room, outdoor amenities, etc.). Speak with some of your neighbors and see what they have received in previous years. We also suggest using our website as a tool when determining price. Look under the “Accommodations / TPC Rentals” section and do a search for homes that are similar to yours and see what they list for. This will also help you see your competition. What happens if there is any damage to my home? The client renting your home will be responsible for any property damage over and above normal wear and tear during the rental period. Suncastle Properties requires each client to purchase Accidental Damage Protection which will cover accidental damages to the property up to $3,000. You can contact your personal insurance company regarding any short-term coverage that you may feel appropriate to cover yourself during the rental period. Do I have to pay taxes on the money I receive for renting my home during THE PLAYERS Championship week? Suncastle Properties will send you a 1099 form for rent received from renting your home during THE PLAYERS Championship. If you have rented your house for less than 15 days during the year, this income is not taxable. What kind of preparations should I make in my home before guests arrive? • Your home should have a thorough cleaning before your guests arrive. This should include hard-to-reach spaces, air filters, and kitchen appliances. • All pets should be off property, and house cleaned thoroughly including carpets if needed, in hopes of no allergic reactions of our clients. We have had complaints of fleas in which you may not notice until the pet is removed. • Homeowners are responsible for ensuring there are adequate quest supplies during the rental period. Guest supplies include personal hygiene, kitchen and bathroom items (i.e. : liquid hand soap, liquid body soap, shampoo, toilet tissue, paper towel and assorted cleaning supplies), please No Bar Soap. • Please leave emergency contact information with Suncastle Properties. Also provide contact information for preferred emergency vendors i.e. Electrician, Plumber, HVAC, etc. The location of your breaker box and shutoff valves for water, electricity and gas lines is also needed. • Remove personal items or IRREPLACEABLE ITEMS from your home and place, either in a locked closet or off premises. • Make arrangements for mail delivery to be picked-up up or held at post office until your return. • You are NOT to enter your home the week of THE PLAYERS Championship unless prior arrangements have been made. Clients expect to have privacy at all times during their stay in your home. • The only items asked for repeatedly are a coffee maker, alarm clocks in each room, and AT LEAST one (1) TV for central viewing. • Please ensure there are 2-sets of sheets, towels and washcloths for each bed. If your towels or linens are over used and fraying at the ends these will need to be replaced. Also note, it is easier on the housekeeper if these are neutral colors, so they are able to be washed together. 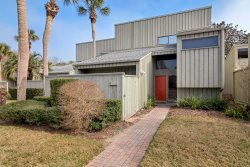 When is the prime rental season for THE PLAYERS Championship housing? We start accepting applications housing in the Summer. Of course, the sooner you get your information in, the longer you have, to get your home rented, and the more exposure you will get. We rent homes up to the first day of the tournament and occasionally even during the week of the tournament. How do we check on the progress of our application? Once your home is listed in our system, it is available for us to market it to our clients. The majority of our clients give us their budget, how many people they need to sleep, and the preferred location. If your home fits their criteria then you are marketed to them. We DO NOT call the homeowner each time someone inquiries about your home. We only contact homeowners when someone is interested in making an offer on your home or has a question about your home that we cannot answer by looking at your information and/or photos. So, please be patient and know that we will contact you when we have something to tell you. What happens when an offer is made to rent my home? When a client determines your home meets their requirements for the tournament they will make an offer to rent your property. Once we receive an offer to rent your home, one of our rental professionals will contact you to review the details of the offer with you (rental period, special requests, pricing, etc.). After reviewing the details of the offer, acceptance of the offer is solely at the discretion of the homeowner.